With the market for VR headsets expected to take off over the next five years, the pressure is on producers to understand how to tell stories in 360 degrees. “Think spherically,” is the advice from BBC R&D immersive and interactive content section leader Graham Thomas, whose team helped the broadcaster shoot news items, concerts and Strictly Come Dancing in VR. “Since VR is frameless, there’s no convenient space in which to conceal all the paraphernalia of a shoot,” he says. There are dozens of recording systems, ranging from the £260 360fly, which captures panoramas from a single lens, to rigs costing more than £100,000 that are aimed at Hollywood productions (see below for eight of the latest VR cameras and rigs). But much of the difficulty of shooting 360-degree video is in getting the camera geometry right and syncing the frames and exposure. “Always work back from the end result,” advises Solomon Rogers, founder of Rewind, which produced the Strictly VR experience. “Resolution of the deliverable is one parameter. After that, you can work out what technical specifications you need to deliver on the required production value. Many of the issues revolve around the process of digitally stitching together multiple videos. “The best VR DPs are those from a post-production and compositing background,” says Lewis Smithingham, a cinematographer whose VR work includes a Discovery documentary. The greater the distance between the lenses, the greater the parallax, which means it will be harder to create a smooth video stitch in post. In theory, rigs with smaller cameras, like GoPros, will make stitching easier than would be possible with larger cameras because the cameras are positioned more tightly together. The trade-off is that GoPro sensors are not as high quality, so you have to decide whether sensor performance or post-production is more critical to your production or budget. The angle at which cameras are mounted has a bearing on output. Some systems claim to capture 360-degree video even though the manner in which the cameras are arrayed means either a top angle, a bottom or both may be missing. Google Odyssey is one of these. This is not a problem and can even be desirable, because the deadspots can be fixed in post-production by painting plates from other areas of the video. The most common deliverable will be an equirectangular single video fi e, which has all the camera views joined together for editing on a platform like Adobe Premiere. This will typically be 4K, although this resolution won’t be seen on small mobile phone screens. For this reason, Smithingham says resolution will not be as important as colour depth or the rig’s basic stability until screen resolutions improve. Ensures that the footage is optimally aligned and helps prevent visible stitching in the finished panoramic “A high frame is far better for a more naturalistic feel,” says Rewind’s Rogers, who recommends 50p/60p as minimum. In a non-live, controlled environment, it can make sense to shoot single camera in one direction, then repeat in a different direction. Two image sets may be enough to render 360-degree video when using wide-angle lenses. This means you can use larger sensor cameras with less of the stitching headache of multi-cam arrangements. There is an argument that shooting 220 degrees rather than the full 360 is sufficient since that field of view mimics our own. This is particularly true of a live event, where we are least likely to want to look behind us and away from the action. Some systems shoot 360 in 3D, but achieving quality is not easy. “Stereo 360 has all the errors of non-stereo VR multiplied by two,” says Rogers. Not having a viewfinder, or being allowed to stand behind the camera, can be tricky. “How do you understand whether shots are correctly exposed?” asks BBC R&D’s Thomas. GoPro’s app enables users to stream images from each individual camera. There are also solutions (Rewind, Radiant, NextVR, Nokia) that stitch the output in real-time for on-set monitoring or, potentially, live broadcast. The 16-sensor cylindrical GoPro array is designed to work exclusively with Google’s VR platform, Jump. The design ensures that four of its 16 cameras are focused on one data point at any time so it can triangulate 3D video. Specific metadata synchronised with the raw video is uploaded to Assembler, Google’s cloud-based processor, to aid stitching conversion. Films can be published direct to YouTube or sent back to users for further artistic refinements. If you don’t fancy shelling out £10,000 to buy the Odyssey (which is limited to selected partners), Google provides free schematics for DIY 3D printing. “The world’s highest-quality VR system,” according to maker Headcase, comprises 17 Codex Action Cams each housing a 2-3-inch chip with global shutter to capture 12-bit HD pictures with dynamic range of 11 stops. The cameras are synchronised with common timecode and metadata to ease digital stitching. It’s available for hire through LA-based Radiant Images. Radiant also offers a patent-pending rig that sits on a performer’s shoulders and rings 17 cameras around their head. The Mobius provides 360-degree perspectives where the viewer is able to see the hands, arms and body of the performer. A freefall parachutist and pilot flying a fighter plane have filmed tests wearing it. On sale from December, this Kickstarter- funded project arrays six 4K imagers with 90-degree wide-angle lenses and a global shutter into a lightweight (400g) Rubix Cube-style mould. Bespoke stitching software unravels the images into navigable video in real-time. The £1,500 device will output 360 degrees at 60fps 4K resolution and is wi-fi -enabled, so could be used for live streaming. With the goal of creating high-end or ‘cinematic VR’, Jaunt has eschewed off-the-shelf solutions to develop a rig from scratch. Detailed specs are still under wraps and Jaunt will only rent it to production partners such as Sky, which has invested more than £1m. What is known is that Neo houses 16 large sensors capable of low-light performance, therefore reducing the need for artificial light sources. It has an internal battery to remove cabling and a global shutter mechanism. Video can be shot in 3D using light-field, a technique that produces a stereo effect in post using depth maps. There are two models: one for indoor events such as sport, the other for outdoors. The output is claimed to be up to 8K resolution per eye. Freedom 360 makes a variety of compact rigs for GoPros. Among them, the F360 Broadcaster is optimised for live streaming with a slightly limited 360-degree x 140-degree view. The F360 Explorer (£440–£1,120) captures 360-degree × 180-degree from six GoPros in a mount which accommodates each camera’s waterproof housing for wet (not underwater) scenarios. A BBC news team with the broadcaster’s R&D division used the rig to capture footage of a Calais migrant camp. Shipping at Christmas, Nokia’s design has been backed by Jaunt for production of cinematic VR. The specifications claim it captures 3D 360-degree video from eight synchronised global shutter sensors along with three-dimensional audio. 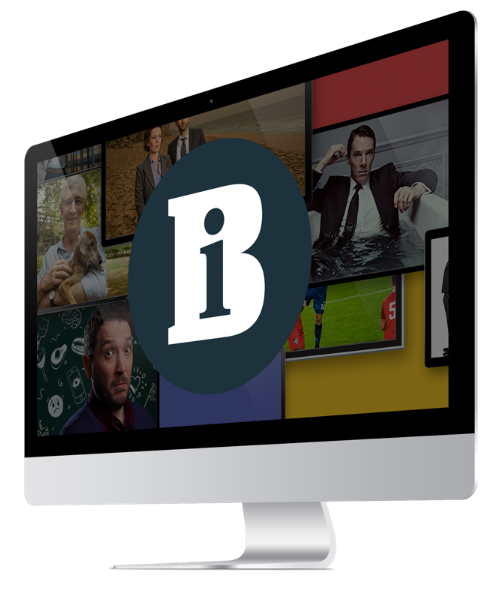 Targeting Hollywood producers, the advantage of this system – which is expected to cost more than £70,000 – is its ability to shoot in real-time with software that enables live monitoring. Nokia says Ozo will render lower resolution video for playback in just a few minutes. 360Heros is another popular maker of GoPro VR mounts. Some are intended for operation on drones; others can be worn by athletes. As the mount, which costs £650, is 3D printed from one piece of nylon, it requires no screws. The 3DH3Pro12H positions 12 GoPros in a horizontal orientation that captures 3D video at 140 degrees and 2D video on the top and bottom at 40 degrees. This configuration outputs an 8K image and permits a shooting distance of four feet. The 3DH3Pro14H incorporates 14 GoPros to deliver full 360 video but requires a greater distance of six to seven feet from objects to avoid parallax issues. 360Heros also markets file management tool 360CamMan, which helps organise the data into left and right eye sets. The Moscow-founded company’s 360-degree camera shoots spherical video for VR applications and can also live-stream footage over wi-fi. It promises to capture 360- degree x 180-degree full sphere images at 3,000 x 1,500px resolution from three image sensors. The company has also developed a holder and optical system that houses three GoPro Hero 4 cameras as an “affordable solution” for shooting spherical video at 5,800 x 2,580px resolution. Panorics will begin taking orders for the PX3 in December, with the camera due to ship towards the beginning of 2016. At pre-order stage, it is priced at $2,000 (£1,320), rising to around $3,500 (£2,300). BT Sport has taken its first step into virtual reality – trialling an immersive experience at the NBA Global Games clash at the O2 arena in London last week. NBC-owned broadcaster Syfy has ordered a virtual reality drama to air on its linear channel as well as VR platforms including Oculus Rift.